A rom-com tells about the story of two people in their 30s who know each other from childhood and now develop feelings for each other. Chha Eun-ho (Lee Jong-seok) is a brilliant writer who becomes the youngest editor-in-chief of a publishing company. He is tempered at work, but he has a warm heart. 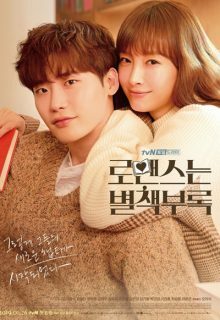 Kang Dani ( Lee Na Young) used to be a copywriter but now she is going through hard times. She is broke and desperately needs a job. Ironically, her resume as a successful copywriter and an excellent educational background makes finding a job more difficult, as employers consider her to be overqualified for every position available. Kang Dani decides to lie about her past and finally gets a job at Cha Eun Ho’s publishing company, where she hopes to have a fresh start. May I know when remaining episodes will appear?? Hole thr is 20+ episode??? ?